Amorebeds Mattress Review| Don't buy without reading our review first! 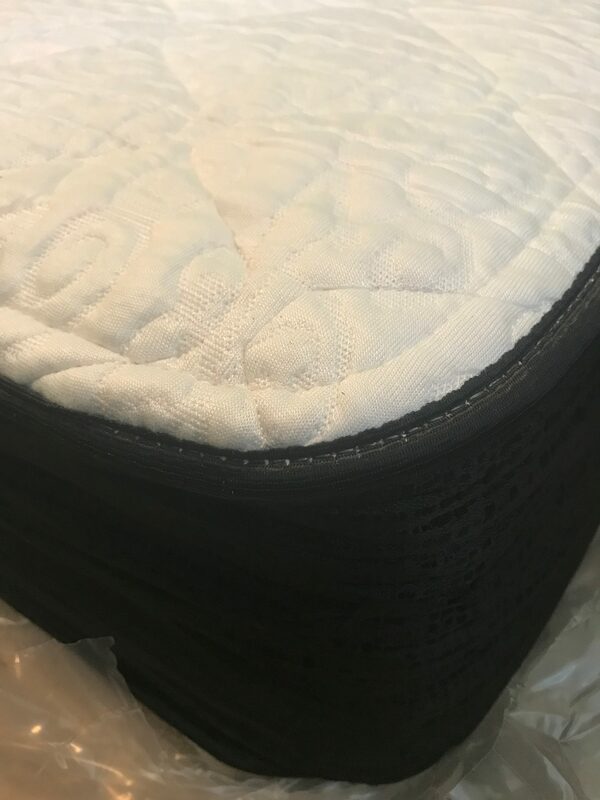 Amorebeds Mattress Review was recently completed by the MattressJunkie.com team. 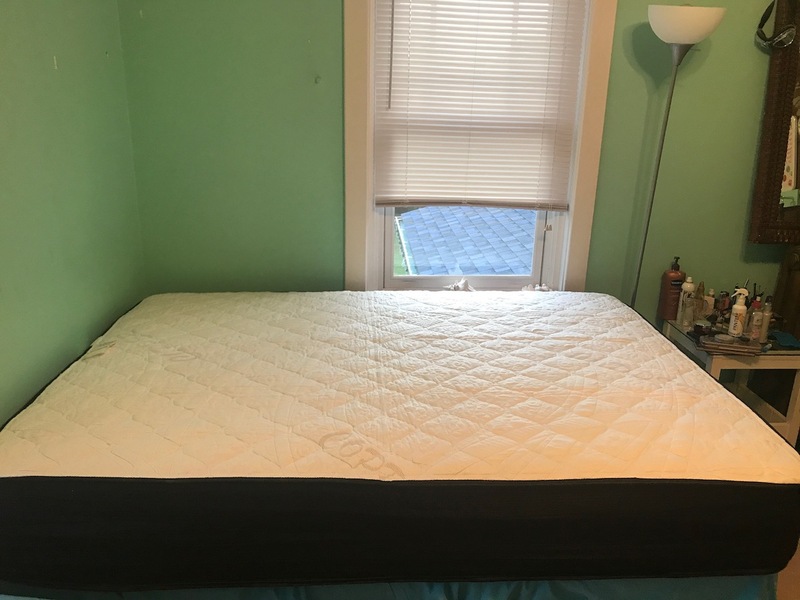 Amorebeds recently sent over a queen sized mattress for our review. The Amorebeds Mattress in queen retails for $850. 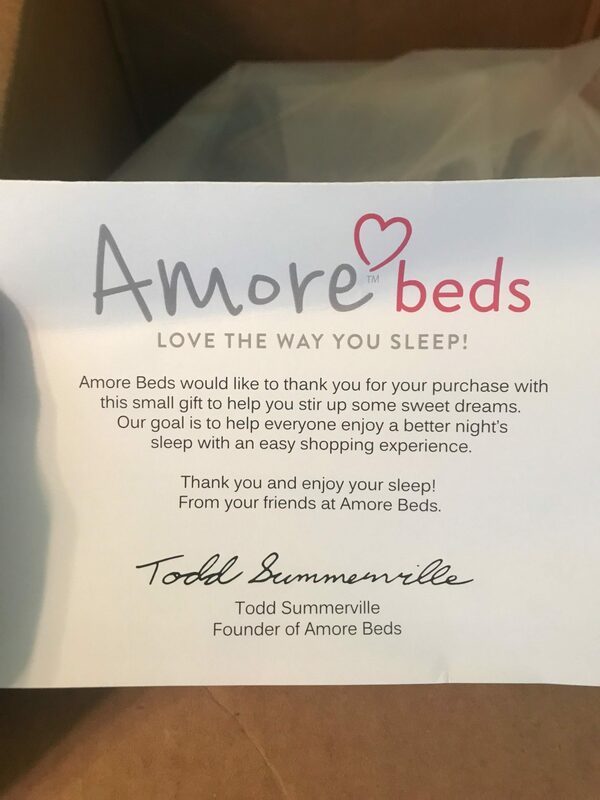 Amorebeds is fully customizable so all mattresses are made according to your desired level of firmness or split into two levels for those that have a bed partner that may not prefer the same sleep environment. In the past, custom mattresses were very expensive. 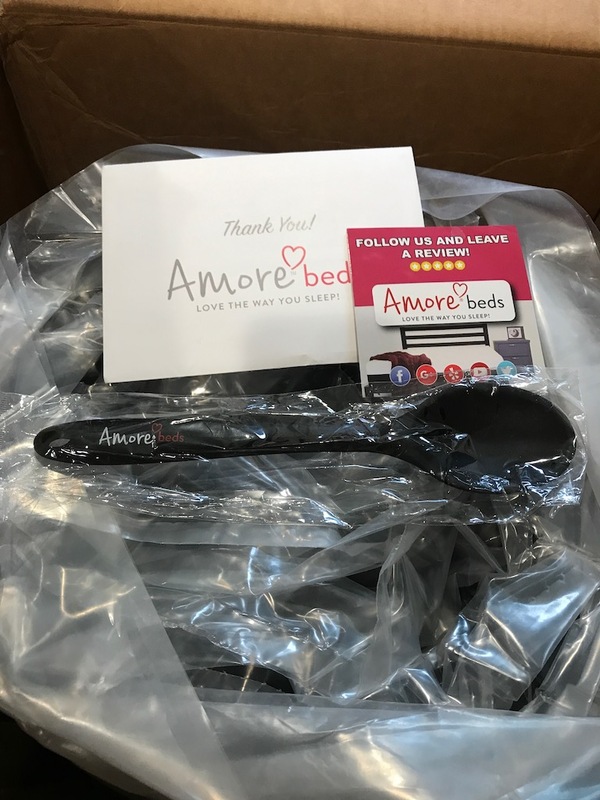 Amorebeds is one of a few companies that customize their mattress in a box offering and sell to consumers directly for reasonable prices. 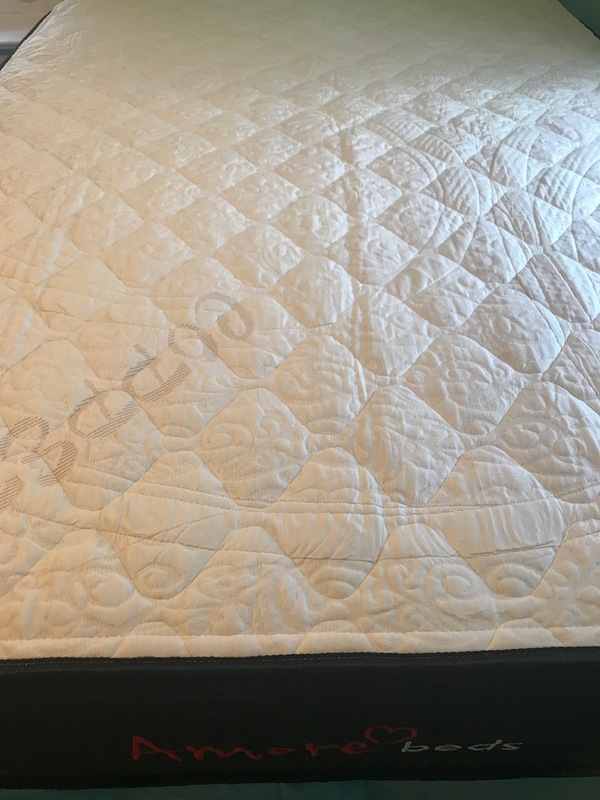 Read on to see what we thought about the Amorebeds Mattress. 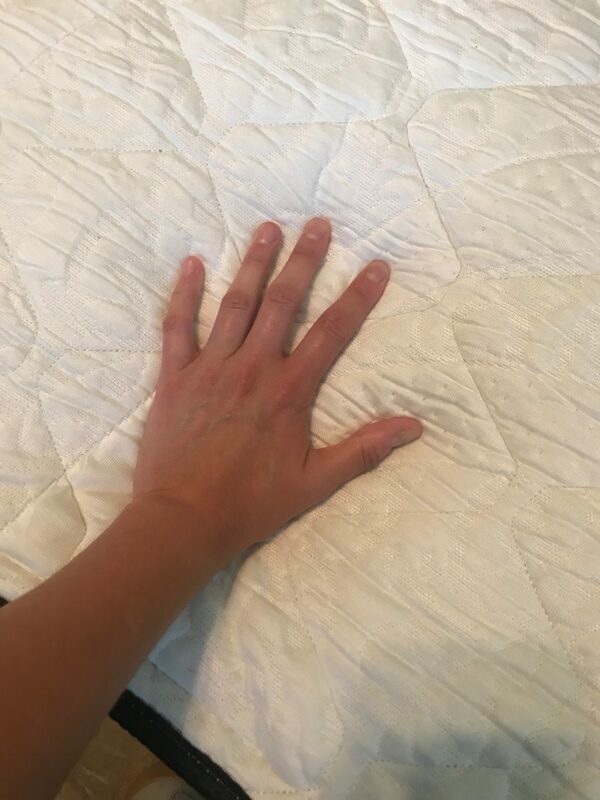 What’s the AmoreBeds Mattress cover made of? 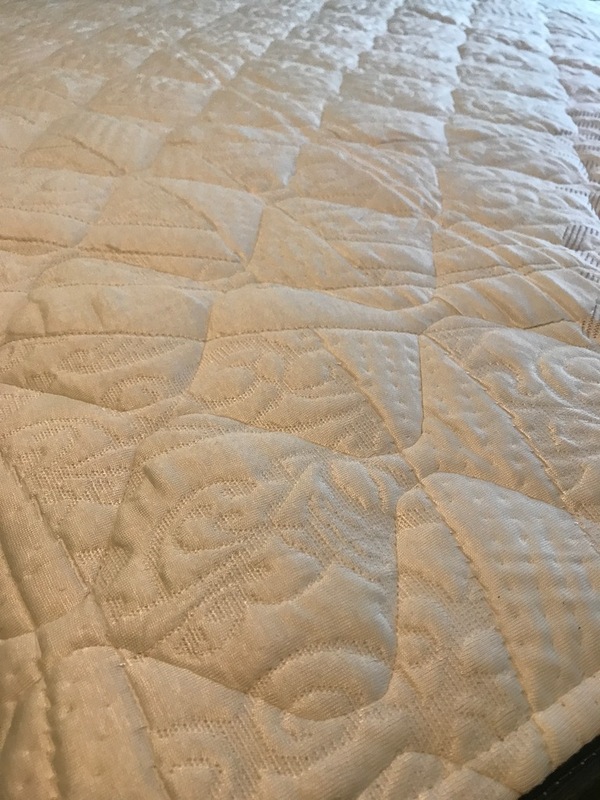 The Amorebeds Mattress has a soft quilted organic cotton cover. We upgraded to the copper infused cover which is offered as an add on. Copper sleeps cooler while having natural antimicrobial and health benefits. The cover is stretchy and hugs the mattress well. What’s under the AmoreBeds Mattress cover? Amorebeds Mattress has 4 layers below the cover and is 12 inches in height. The first layer is the graphite infused memory foam layer. This comfort layer keeps the body pressure points reduced so body weight distribution remains consistent and comfortable all night. Graphite is beneficial with heat retention so this infusion into the memory foam helps you sleep cool all night. The second layer is made up of high density open cell foam. This foam contours to the sleeper’s body to provide additional pressure relief while maintaining spine alignment. This additional support layer helps to minimize tossing and turning. The third layer is comprised of a 4 inch layer of individually wrapped coils. The coils are in place to promote airflow throughout the sleep experience while also adjusting to motions that would could disrupt those who sleep with a partner. The last layer is the base layer. The base layer is made up of ultra-high density base foam. 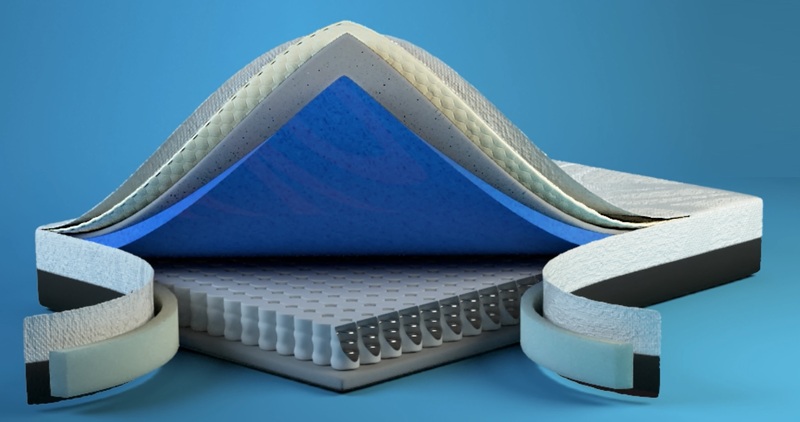 High density base foam is supportive and critical to the lifespan of the mattress. Amorebed also added in a reinforced edge support system to give sleepers an edge to edge sleeping surface while also accommodating those who use the edge of the bed for sitting or other activities. What type of sleep style works best for the Amorebeds Mattress? Amorebed should work well with all sleep styles since the mattress is customized by your personal preference. How much does the Amorebeds Mattress cost? What type of warranty does the Amorebeds Mattress have? The Amorebeds Mattress has a 20 year warranty and a 100 day sleep trial. If you don’t like your Amorebeds Mattress for any reason, the will give you a full refund within the first 100 days. Financing is available for those that qualify. What surface is best for the Amorebeds Mattress? Any hard surface like a platform base, box spring, adjustable bed would work great with the Amorebeds Mattress. Do we recommend the Amorebeds Mattress? The Amorebeds Mattress is a customizable mattress shipped directly to consumers. If you can’t find the perfect level of firmness and need something made just for you, Amorebeds is definitely a high quality, affordable option. With the 100 night sleep guarantee, you have nothing to lose! Learn more about the Amorebeds Mattress here….Code “AMORE50OFF” saves $50 on any mattress purchase.